Niger is the Irish Red Cross priority country of intervention on the African continent, where we work to address the underlying causes of vulnerability and to build local resilience. Niger is the largest country in West Africa and has a rapidly growing population of approximately 17 million. It is landlocked in the Sahel region, and is prone to natural disasters. It is one of the world’s poorest countries, and cycles of drought and hunger are a harsh reality. The Irish Red Cross approach is simple: empower communities to improve their lives and strengthen their resilience. Fati Hassane is the president of the comitee of the seed bank. 'We used to have to travel far to buy rice. Now we have it here in our village.' © Norwegian Red Cross. 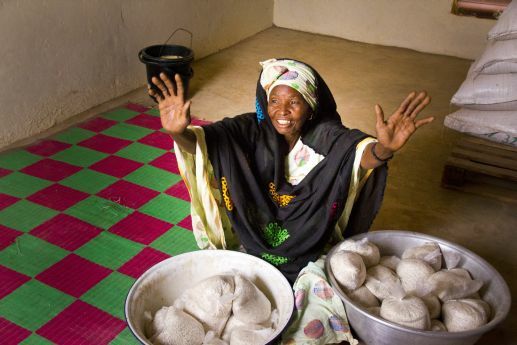 We began our work in Niger in 2005, to provide emergency food assistance to famine victims. Since then, we have committed ourselves to helping the most vulnerable communities to tackle some of the underlying causes of chronic food insecurity. The Irish Red Cross approach is simple: empower individuals, families and communities to improve their lives and strengthen their resilience to environmental stressors, while building the capacity of local institutions to take greater responsibility for relief and development activities.To date, the Irish Red Cross has provided assistance to over 100,000 individuals across 45 communities, working in close collaboration with Red Cross partners. Our strategy is centred on improving long-term food security and water access. Construction and Rehabilitation of Cereal Banks: community-led grain distribution projects allow communities to store grain after harvests, and then loan it when food is scarce during the “lean season”. The grain is loaned out below market price, ensuring the poorest members of the community can access food. They provide villages with a much-needed safety net during times of famine. We provide literacy and maths training to the local committees (mostly women) to manage the cereal banks. This gives them a skill, as well as boosting women’s confidence and prestige in their communities. Training in animal husbandry and the promotion of loaning animals to poor families within the communities we work in. The design for our programme comes from the traditional practice of habbanae in Niger, whereby members of the community who fall on hard times are loaned animals from other community members to see them through, thus strengthening the bonds in the community. This practice has been recognised by UNESCO as an emblematic cultural practice for sustainable development. 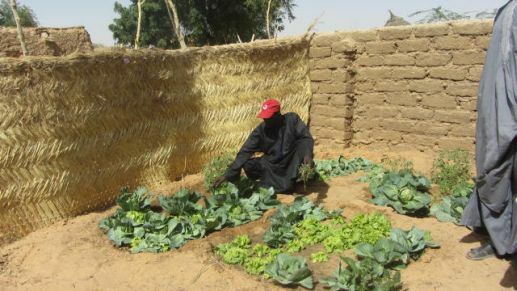 Diversification of vegetable and crop production and small-scale kitchen gardens, ensuring diets are diversified. Drip irrigation is one method used to ensure a diversity of crops. ©Irish Red Cross. Provision of locally made fuel-efficient stoves to reduce fuel consumption for cooking and reduce smoke inhalation. First Aid Training in vulnerable communities and capacity-building of the Niger Red Cross Society. 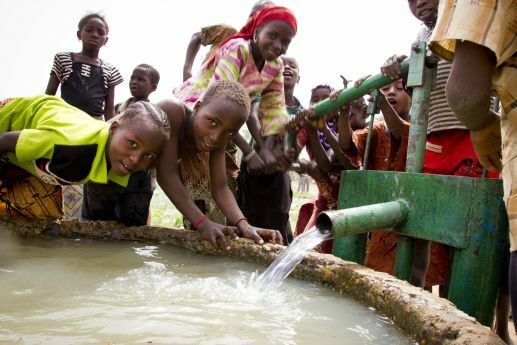 Construction and rehabilitation of wells and boreholes, and water towers, ensuring access to water. Long-term donations also allow us to plan for the future and ensure money is available where it is needed most. Regular gifts make us more efficient as a consistent, predictable income means we can plan and budget better. They give us the security and confidence to react to situations as they arise and the income to carry on with our work.